Our Company South Dental is an organization established since 1992, and it has been in constant expansion, with its sole purpose of providing excellent dental services to the community of the South Florida. Our Team Our professionals and personnel is carefully selected to make sure it meets our high professional service and skills. 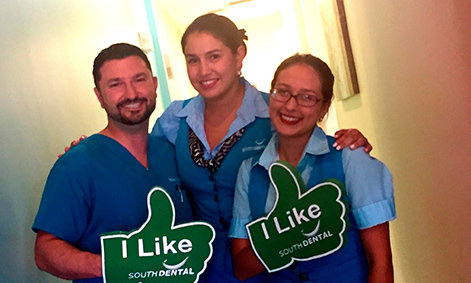 South Dental is a place where all our professionals work as a Family creating a great work environment . In order to ensure that our patients receive the best dental care, we remain abreast of all the latest advances in dental techniques and technology. Through continuing education and advanced training in dentistry we sharpen our skills and learn more effective ways to treat our patient’s dental situations and that means a more pleasant and comfortable visit for you. Mission… Our Mission is to provide the best dental service and environment at affordable prices. Vision… Our Vision is to expand our company by offering the best service at affordable prices in our different locations in the South Florida.